California Assemblyman Rob Bonta played a pivotal role in pushing through regulations on the state’s medical marijuana industry, which will greatly transform the nation’s largest MMJ market. Bonta was a primary sponsor of Assembly Bill 266, one of three measures known collectively as the Medical Marijuana Regulation and Safety Act (MMRSA). 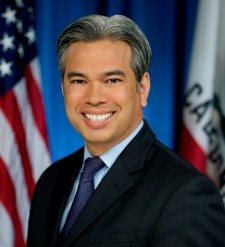 Marijuana Business Daily caught up with Bonta to talk about what the new rules mean for businesses and how regulations will change the state’s MMJ industry. What’s the timeline for regulations to be established in California? The state will begin accepting applications for licenses no later than Jan. 1, 2018, but it could be earlier than that. It’s hugely important for businesses to obtain their local licenses prior to that, because MMRSA has the dual licensing structure where you have to have both the state and local licenses. Also, businesses that are up and operating and in compliance with local ordinances by Jan. 1, 2016, will receive priority for their applications. In one of the bills, it says that local governments only have until March 1, 2016, to develop their local ordinances before they cede that authority to the state. We expect that provision will be repealed. So Jan. 1, 2016, March 1, 2016, and Jan. 1, 2018, are some of the key deadlines. What are some “need-to know” items for businesses and entrepreneurs when it comes to the new regulations? A couple things. Certainly the dual licensing structure is important, and the rules around what we’re calling “suitability” – who can get a licensee and what the requirements are. There are requirements regarding prior criminal convictions and interactions with the criminal justice system. Some of the rules about vertical integration – we have a limited type of integration that’s allowed. And there are also some requirements around the types of licenses for different parts of the industry, whether it’s cultivation, manufacturing, testing, distribution… so that’s something to look at. There are also rules about labor peace and how the industry will interact with labor. There are other rules around security and fingerprinting and other items that need to be addressed. Regarding the upcoming rulemaking by various state agencies, what are some of the more important regulations that have yet to be written? The fee structure is certainly going to be a critical one. How we do specifics around testing is a really critical part of the process as well, particularly because you can’t be a tester and also have a license for another part of the industry. Some of the areas where there needs to be additional flesh put on the bone are suitability, vertical integration, the state licensing component of the dual licensing structure and anything related to labor – those are all really important areas for additional rules. We really set forth the key concepts and the raw framework, but the details are going to be added through the regulatory administrative process. Any guess on what state fees may be set at for varying businesses? The fees for smaller businesses will be lesser than those for the larger licensees. Besides that, the details are to be determined through the regulatory process. This whole program is meant to bring medical cannabis businesses out of the shadows, into the light, and give them the same legitimacy as every other business that creates good jobs. The fees will be enough to oversee the regulatory regime and not too much to damage or undermine or hurt our medical cannabis businesses in California. What are some other tweaks or additional legislation you anticipate next year? Will there be a bill or an amendment, for example, to clarify that for-profit business models will be permitted? Yes, that’s certainly one. I think there’s a wide concern that we are only going to allow non-profit, and that’s certainly not the intent. So we’re looking at cleanup language and additional legislation that will make very explicit that this allows for-profit businesses. There could be some additional cleanup on suitability, specifically the issue of a licensee who got a criminal conviction in another state and served no jail time still being able to be a licensee. There’s also ongoing interest in the banking issue. That’s fertile ground for additional legislation. Do you have any estimate on how many existing businesses will be able to make the transition to the regulated market? In Las Vegas, a few panelists suggested only 30% or so will survive. Do you agree with that assessment? I was a little surprised by hearing that number. I thought it would be much higher. We did not design this as a screen to prevent medical cannabis businesses from doing business in California. It was created as a way for everyone to comply with state rules, so everyone is operating under the same rules. So I expected it be very high, like 90%. We wanted and intended for the industry to be kept whole. What will enforcement look like? Does the state have the resources or a plan to shut down growers, dispensaries and other businesses that don’t fully comply with the new rules? Enforcement has been a huge problem in Los Angeles. That is the expectation, that the fees are designed to fund oversight and the regulatory program… which is designed to help fund public safety and enforcement. We do expect there to be an infusion of revenue for enforcement that will create a regime that hasn’t existed in the past.